STV portable winch-driven telescopic masts are for elevating moderate weight devices from 8 to 18 meters for tactical use in the field. Up to 35 kg head loads. The STV man-portable telescopic mast family is winch-operated and designed with four special longitudinal guideways that provide excellent guidance when raising and lowering the load while giving longitudinal stability. This allows easy pointing of fully deployed directional antennas. 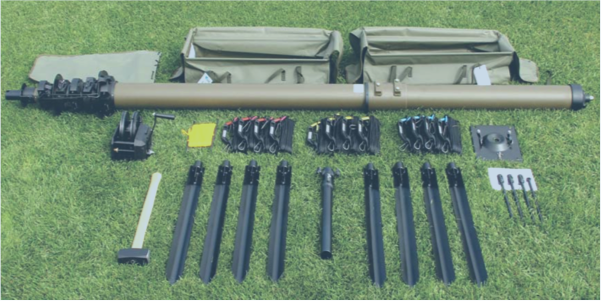 Each antenna mast comes with anchors, guying ropes, stakes and hammer; along with special cross-bar with eye-anchor to fix the mast in specific direction, and base plate with safety chain attachments and extension aluminum tube/ grounding screw for antenna attachment. All the accessories are stored in separate canvas bags. Check out this nice video showing deployment of an STV mast. All sorts of ADK adapters and accessories are available too.